This was another game as part of the Campaign of Nations. 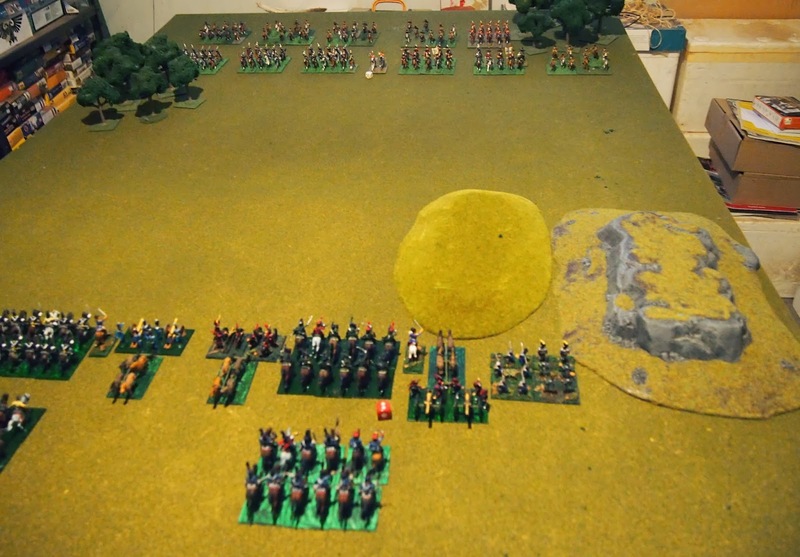 A clash of cavalry forces occurred just to the north-east of Zwickau in southern Saxony. The path of Colonel Bergmann's first division from Platov’s Cossack corps was blocked by French-Allied light cavalry (Westphalian and Württemberg) commanded by Général de brigade Bruno. The French-Allied troops had been ordered to determine the movements of the enemy and to stop or to slow them; if they could. 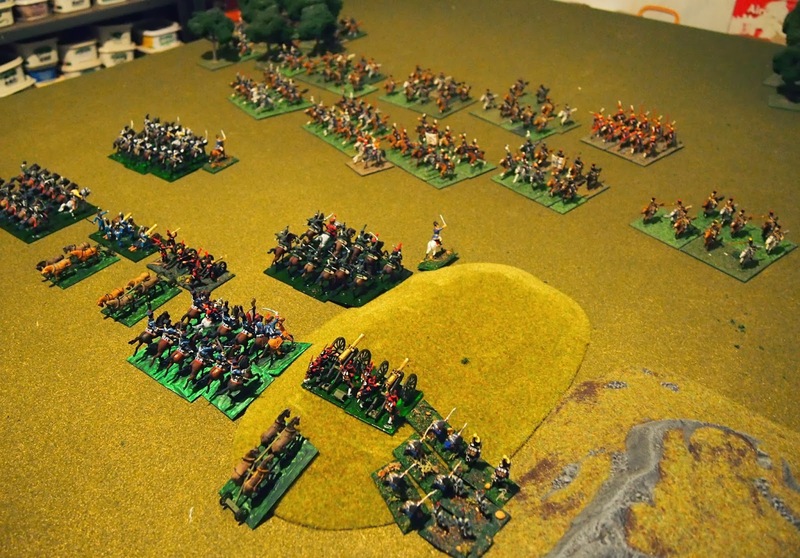 The stage was set for a sizeable cavalry clash. Extract from the campaign map showing the location of the clash. The skirmish-battle took place in a broad valley with gently undulating terrain, broken by a few woods and some gentle hills towards the north/north-west. Général de brigade Bruno’s French-Allied cavalry force consisted of his own 22nd Light Cavalry Brigade and the 24th Light Cavalry Brigade under Generalmajor von Jett. 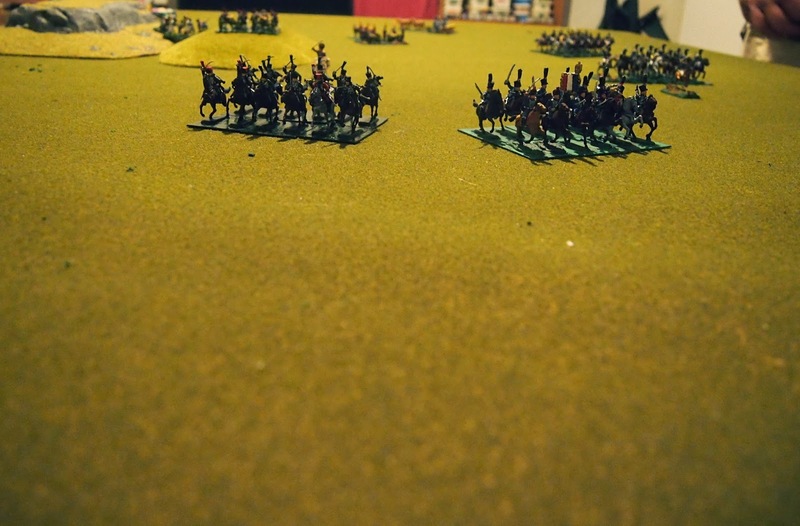 They were represented on the table by four units of French-allied cavalry. These were well supported by artillery with two horse batteries and a foot battery of 12 pounders! An artillery guard unit was formed from the sappers and train battalion. Colonel Bergmann's division of Platov’s Cossack corps comprised four regiments. Each regiment had anywhere from 3000 to 5000 men, so, with only about 1/3 of the Russian force able to 'engage' in battle, they were represented by 11 units of Cossacks. These had ridden ahead of their corps artillery, so had no guns in support. 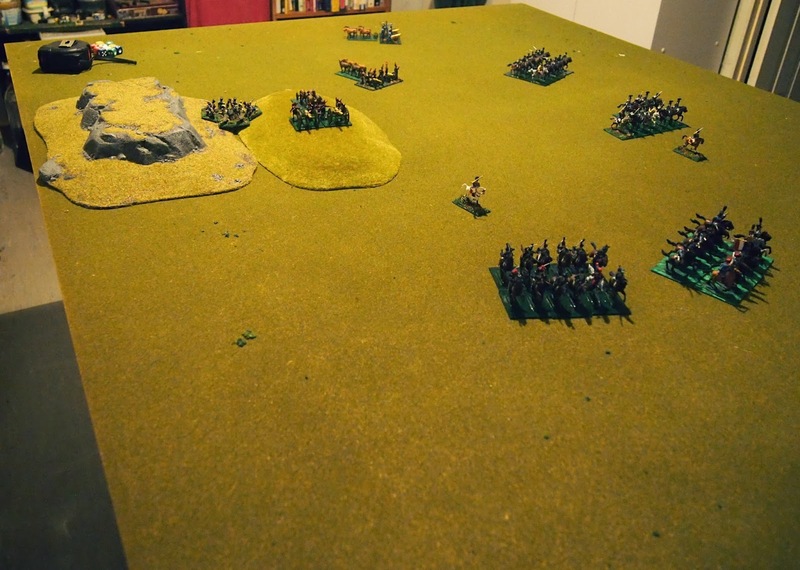 Victory was determined from the number of unbroken Cossack units that exited the north-east table edge, the number of turns before the last unbroken Cossack unit exited the table and the number of broken Cossack units. In the end, these complex victory conditions were not required. and rapidly move to contact. 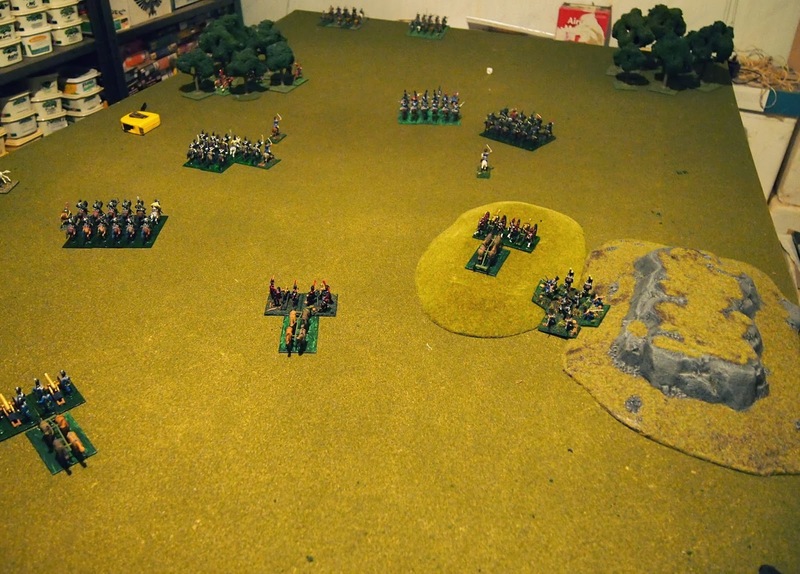 One unit of Cossacks eludes the defenders. 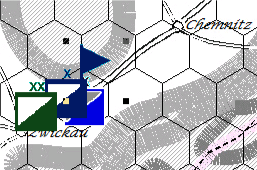 Two more turns of successful mêlées and accurate artillery fire (for the French-allied side) and it is all over. 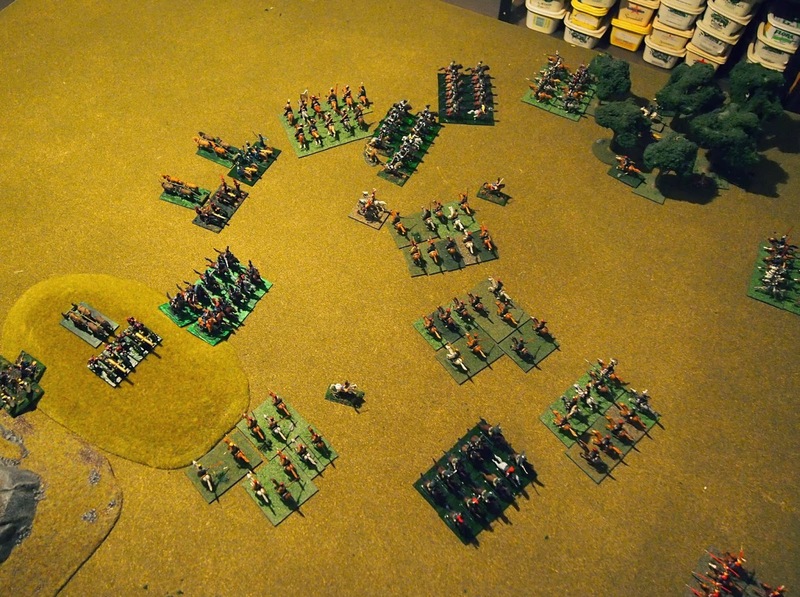 The remaining Cossack units retreat to the table edge. The Cossacks were unable to get past the French-Allied troops. The preponderance of guns was particularly telling, with French, Württemberg and Westphalian gunners all 'on song' (i.e. this was the most one-sided combination of my good luck and my opponent's bad luck that I've had in ages!). Eight of the eleven Cossack 'units' were 'broken' and none were able to get past the French-Allied line. 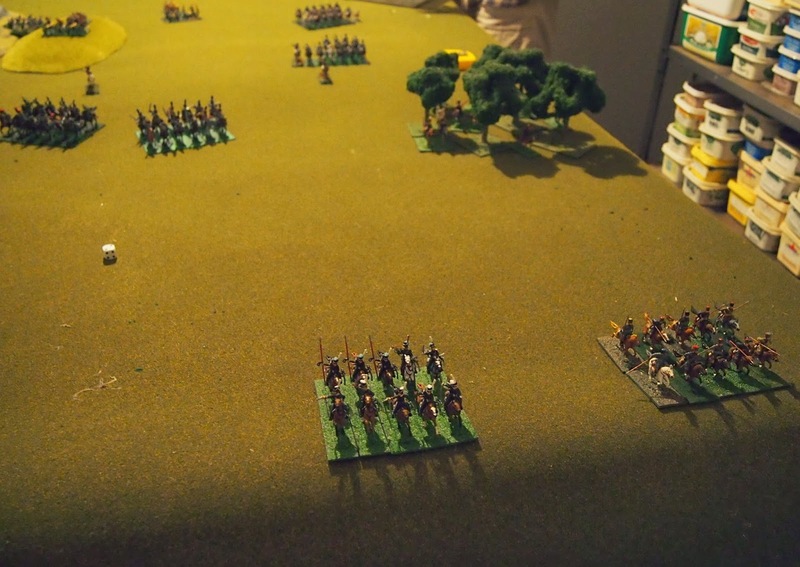 In Shako it only requires two 'hits' to break a Cossack unit, so we deemed that they have tried some attacks on the French-Allied troops and, finding that they were a tough nut to crack, dispersed to look for easier opponents. James - it's only bad luck when you lose, when you win it's superb generalship! Horse battles are always FAST! This looks interesting, you must tell me the back ground.